"Why Try To Change Me Now"
Hey everyone, I am already so bored by this consultant storyline. Seriously, a consultant? This is the source of all the drama? Even worse, a consultant with an errant list. 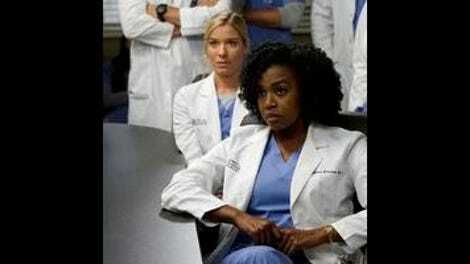 Marika Dominczyk plays said consultant, and man does Shonda Rhimes like to keep her family together. Dominczyk is married to none other than Rhimes favorite Scott Foley, Scandal’s Jake. At any rate, that trick the consultant pulled in the operating room has got to be completely illegal. I don’t care if she knows how to swim in the deep end or not. Do love Bailey and Richard trying to come together to see how they’ll deal with each other. In boring couple news, look for the consultant and Arizona to hook up momentarily. And April and Jackson will totally get back together. 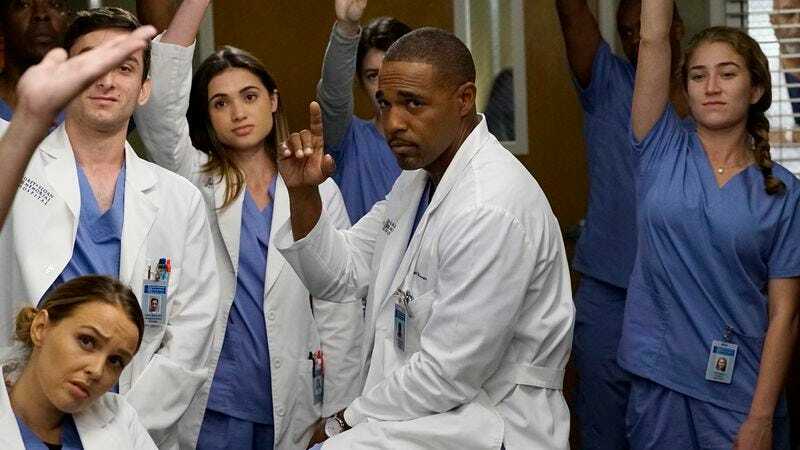 And someday, maybe Amelia and Owen will realize that you shouldn’t pledge everlasting love to the first person that comes across. Because it leads to squabbling like children over the gas tank. The whole setup is completely tiresome and, as I said last week, putting Owen someone who wants kids so much, with another bride who doesn’t want kids, as is just cruel. So much so in fact, that I bet Amelia changes her mind eventually. Two more episodes until the “winter finale” and I gotta say, after the momentum of last season, so far this one isn’t doing much for me. More Meredith and Alex, please.